Following safe a hitching method keeps you and your horse safe. 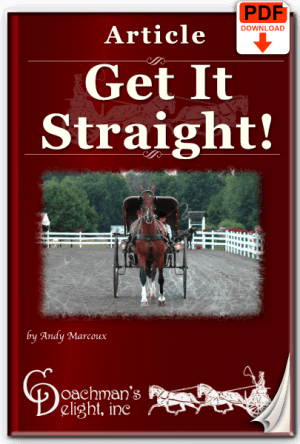 Download this article to learn the best practices for hitching and unhitching the single horse. The riskiest part of your drive is when you are hitching on unhitching your horse. 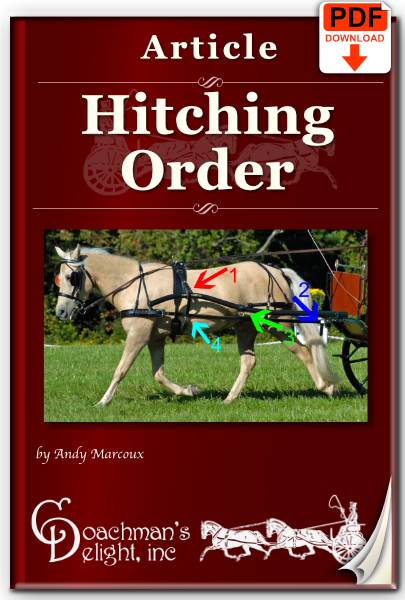 In the moments that you are in between fully hitched, or fully unhitched the harness and carriage can not interact in the way they were designed to work. 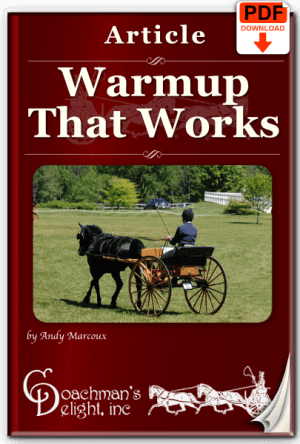 If your horse takes a step or moves off during that process, things can get pretty tricky. 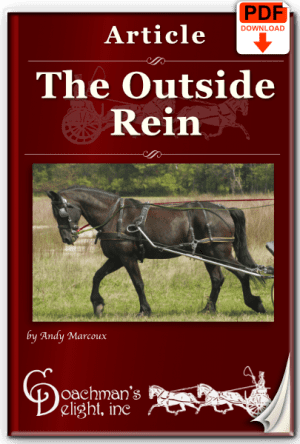 Certainly, the first answer to this problem is teaching your horse to stand reliably during and after your hitching process. However, even the best horse can get little antsy from time to time. That’s when following the best method while putting to can make the difference between an incident-free drive and a life-changing runaway. Download this article to learn the safest hitching sequence for a single horse, and why it’s important to follow it each and every drive.